This Is Our Third Part Of Our Ludo Game Tutorial And In This Part, I Am Going To Write About how To Create Ludo Game Using Python And Tkinter Module. In Today's Post We are Going To write controller.py Script For Our Ludo Game. As I Already Described In My Previous Tutorial, To Run This Game First We will Create A Grid Of Squares In Tkinter Canvas That Will Act as A Ground Level Track For Our Tokens And Then We Will Create Different Roots For Our Tokens To Run On This Main Track According To Ludo Game Rules. 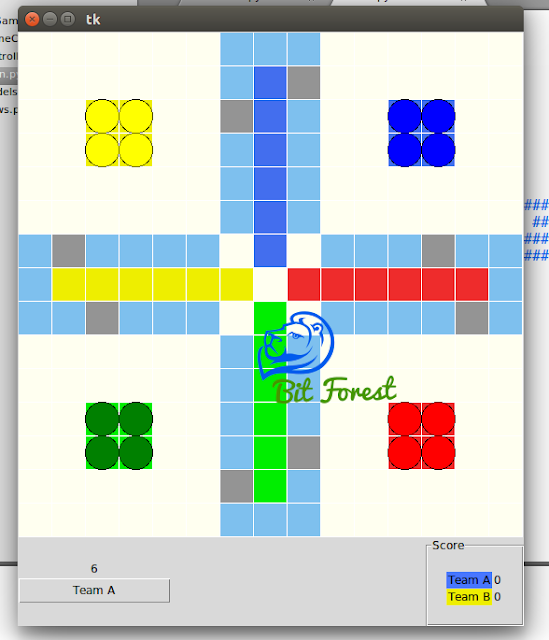 So, Here I Am Writing a Controller Script Of Ludo Game To Manage Other Functions And Scripts. In Simple Words, Controller Is Like Brain Of This Game As It Will Manage All Types of Functions And Coordinates Managements of This Games.